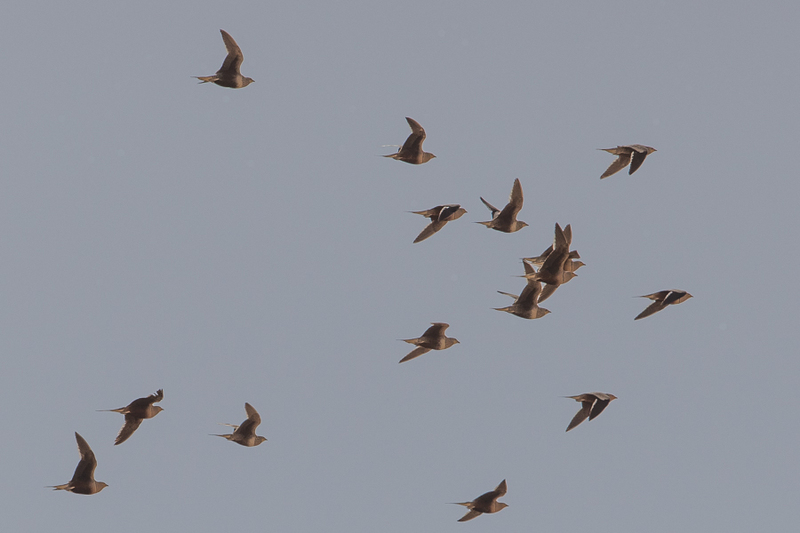 Whilst birding the Haradh area 25 January, I saw a flock of over 50 Chestnut-bellied Sandgrouse Pterocles exustus with Phil Roberts. 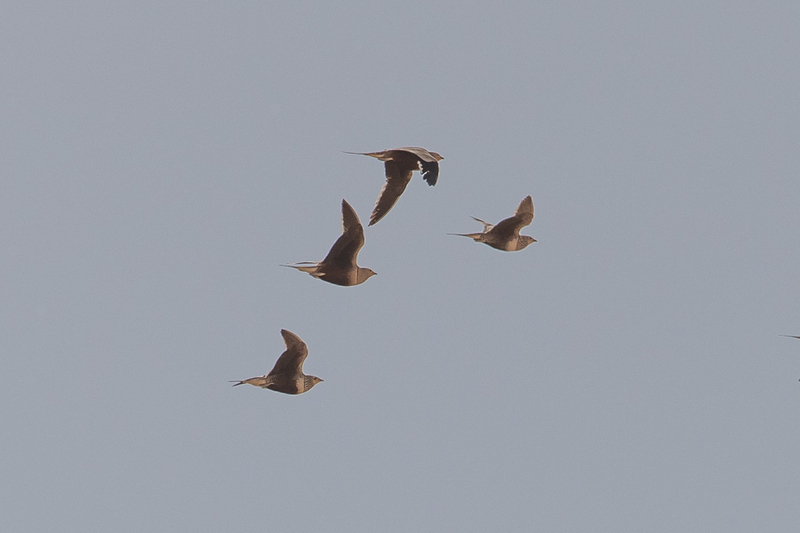 The birds were seen in flight at a great distance but flew closer allowing me to take a couple of photos, although the midday light and heat made the photos average. 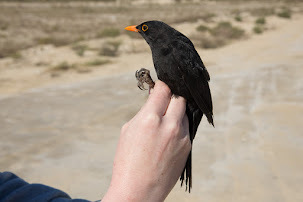 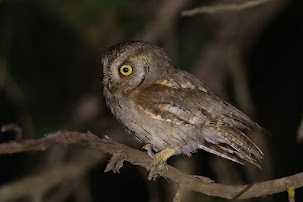 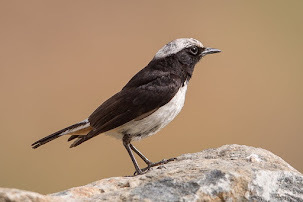 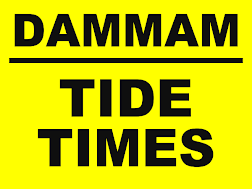 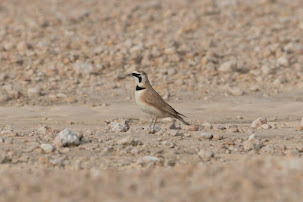 They are a common and widespread breeding resident on the Tihamah and southern Red Sea coastlands, less common in the Northern Hejaz north to Rabigh with all records below 1000 metres. 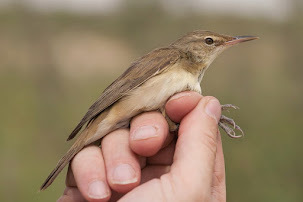 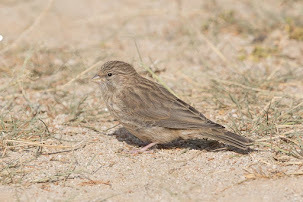 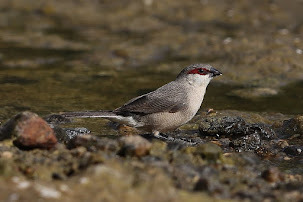 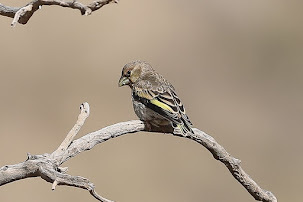 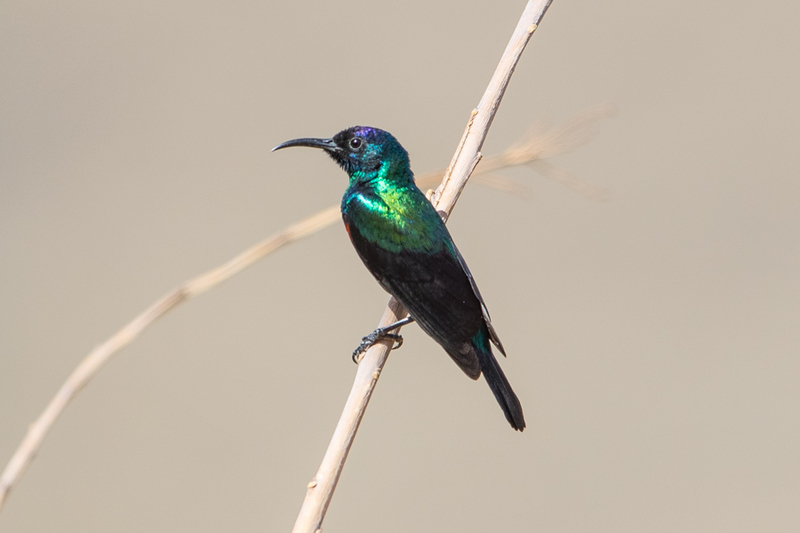 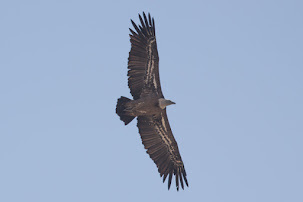 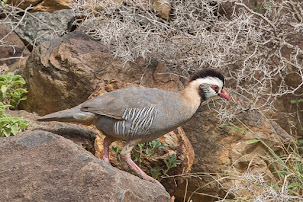 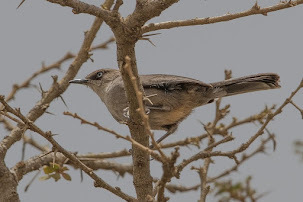 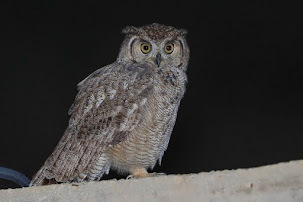 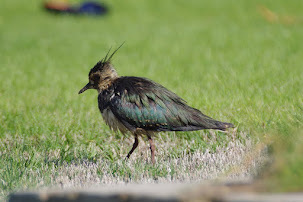 The species is, however, rare in Central Saudi Arabia and had not been recorded in the Eastern Province until 2013 when I was sent a photograph showing a number of birds (unfortunately) shot, apparently near Al Hassa in 2013. 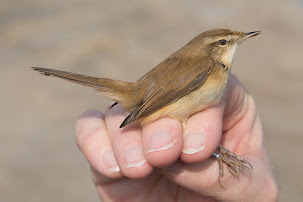 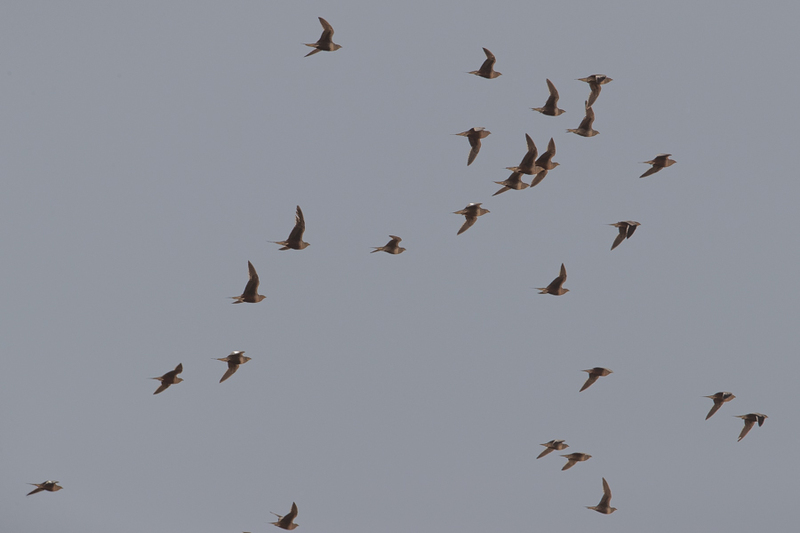 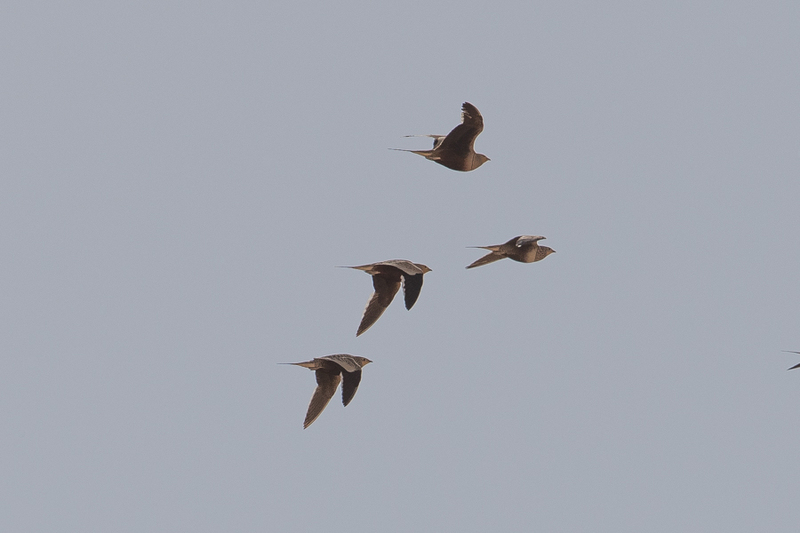 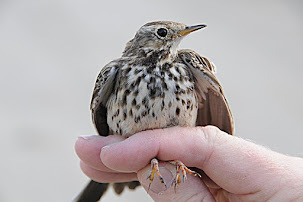 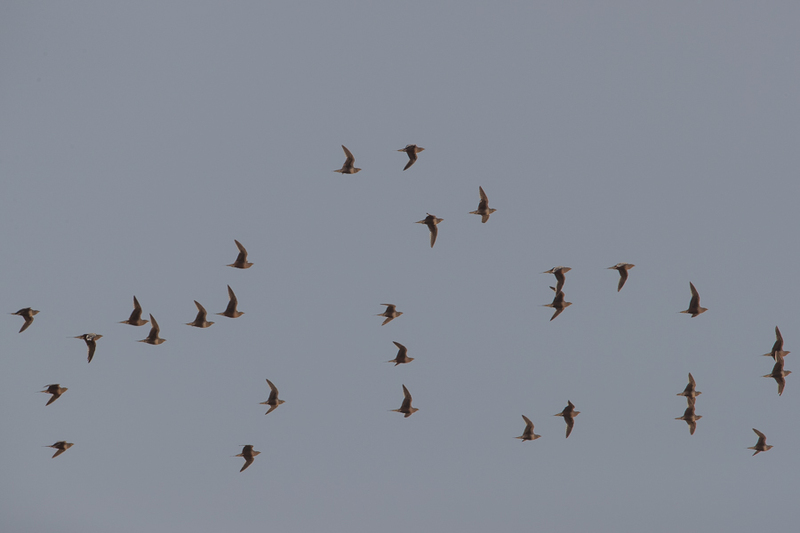 Phil Roberts then saw a single bird at Sabkhat Al Fasl in 2014 and tPhil and I saw a single at the same location 12 February 2016 making this record from Haradh only the fourth for the Eastern Province and easily the largest flock. 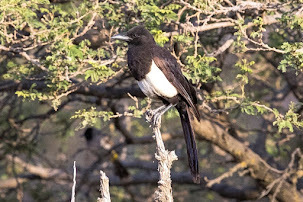 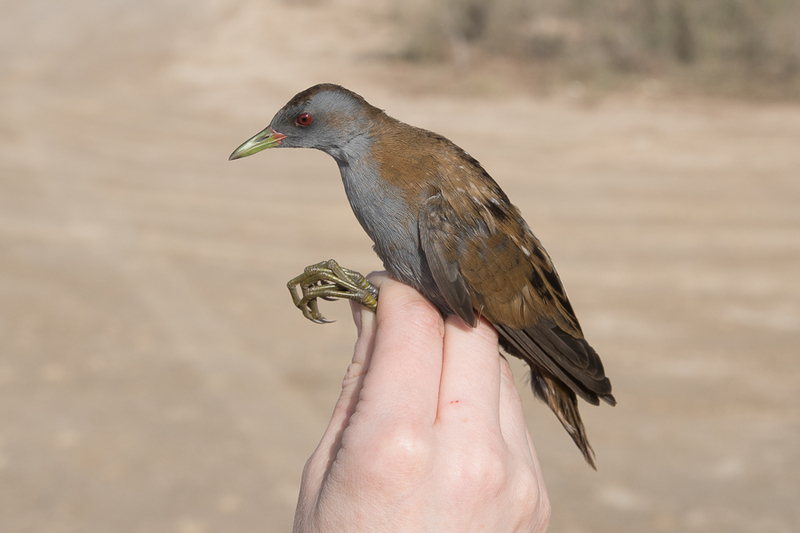 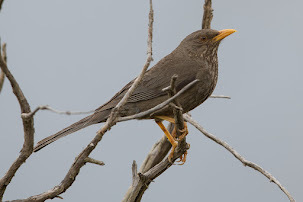 They are a relatively small species, with elongated central tail feathers, dark underwing, blackish belly and unmarked head. 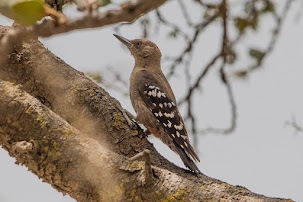 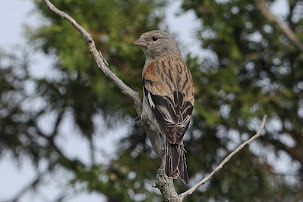 The male has a narrow pectoral band and chestnut brown belly darkening towards rear, whereas the female is more mottled above and shows a tricoloured ventral pattern. 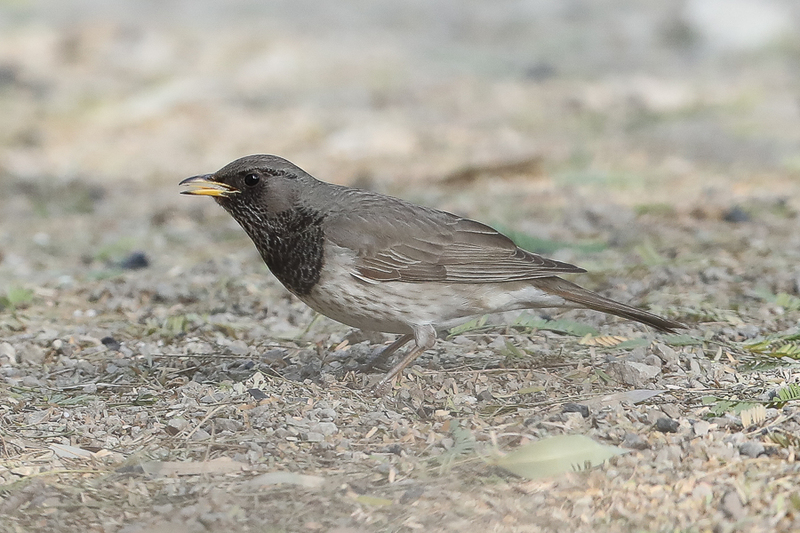 Races differ mainly in tone of upperpart coloration with the Arabian population P. e. erlangeri sandy coloured. 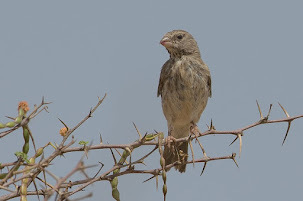 They typically inhabit bare semi-desert, often with scattered thorny scrubs or trees including Acacia. 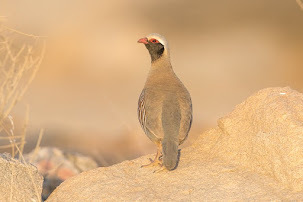 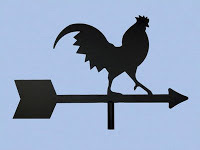 They feed during the cooler hours of morning and afternoon and drink 2–3 hours after sunrise, while in very hot weather some individuals drink again before sunset.